More than 150 volunteers help to make Durlston a very special place. Whatever your skills or interests, we need your help! Here are just a few examples of how you could get involved. If any of them interest you please get in touch via durlston@dorsetcc.gov.uk or by calling 01929 424443. Every week Durlston runs three volunteer work groups that carry out vital maintenance and conservation tasks around the park. Joining one of these outings is a great way to get some healthy exercise, enjoy the outdoors and make new friends, not to mention enjoy some tea and cake. Pleasure Grounds Work Party- every Tuesday 10.00am - 1.00pm. Help us enhance the heritage, accessibility and habitat value throughout the Victorian landscape of the park as part of the Durlston Pleasure Grounds project. 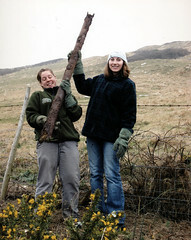 Conservation Work Party - every Wednesday 10.00am - 1.00pm. Scrub cutting, bonfires, hedge-laying, tree planting, sign painting, path clearing, wildlife surveys and more - just come along to the Learning Centre. 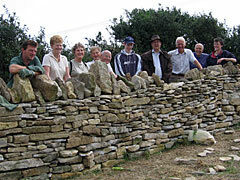 Dry-stone Walling Work Party - every Thursday 10.00am - 1.00pm. Come along to learn and build experience in this ancient craft, whilst helping us to maintain the six miles of dry stone walls found across Durlston. Tasks available for all ages and abilities, with all equipment and training provided - just be prepared to get muddy! 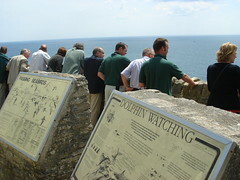 Run by the Durlston Marine Project since 1988, volunteers have been helping develop our understanding of the ecology of the dolphins on the south coasts, through regular watches. Full training provided. A group of volunteers who provide support to the Ranger team on a regular, long-term basis. Patrolling the Park, assisting visitors, supporting events as well as project work within a specialist area. Training, development and uniform provided. Bird surveys - on designated patch throughout the year - some knowledge of bird identification needed. Butterfly survey - 2 transects are surveyed weekly from April - September: some initial knowledge of butterfly identification useful. Holiday cover often needed. Flower surveys - plant surveys in some fields. Orchids counted annually - between May - August depending on species. Training provided. Human surveys - data on visitor numbers and comments needs to be collected and analysed. 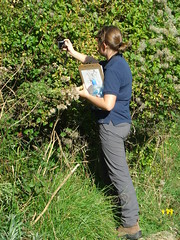 Photomonitoring - monitoring of the park using photos; we need keen photographers to help us out with this. The Castle visitor centre is OPEN every day (except Christmas Day & Boxing Day). April - October from 10.00am to 5.00pm and during November to March from 10am to 4.00pm. We welcome 100,000 visitors a year. This role involves staffing the counter, answering questions and taking money from sales. Training is given and a Ranger is always available to help out. 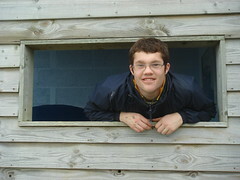 Would you like to bring a group from your organisation to volunteer at Durlston? 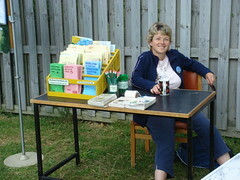 If so, please contact us and we can arrange a corporate volunteering day. With a diverse selection of different practical conservation tasks to get involved with, we can find work that will accommodate your groups needs. 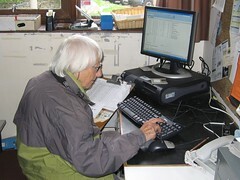 Wildlife records and much more need updating, analysing and reports written. We are currently transfering raw information onto a computer database. Photos of Durlston are required, especially people, views, wildlife and activities. Please send us your photos. If you have a flair for interpretation, work on new displays and repairs to the old ones is needed. 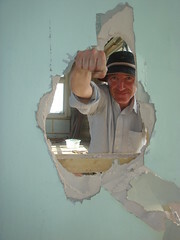 Help with any of this work would be appreciated - including carpentry, painting and drawing. We want as many people as possible to enjoy Durlston, so help us get the name out there. From putting up posters for our events, to promoting us online, we'd greatly appreciate assistance spreading the word. Would you like to help with the delivery or development of our education services? Durlston receives dozens of visits by school groups each year, not to mention all the lifelong learning opportunities we provide. If you have knowledge about the natural world you want to pass on, get in touch and help us with our education programme. The Friends of Durlston play an active role in supporting the management of Durlston Country Park, including helping to guide park management policy. This is co-ordinated by the Friends of Durlston executive committee, who also help with fundraising and organising events within the community. Members meet approx. every 2-3 months to consider these and a range of other Park issues. Every year members step down to give the opportunity for fresh blood to join and bring in new ideas. If you are interested in becoming involved with the committee, please contact the Rangers. If you would like to help with any of these projects or have an idea of your own, please drop us a line, e-mail or come and see us at the Visitor Centre. Take a look at the Newsletter for specific projects with which we need help. You can park for free when doing voluntary work for us - ask for a permit from the Visitor Centre.